sorry this is the only picture i have.... haha. Anyway can u guys help me on naming the fish. we went to punggol park from 3pm to 7.30pm and caught this amount of fishes. Quite disapointed though normally we go there we can catch about 3 times more..... the biggest we caught is 17.5cm,850g. it was landed at about 4pm by me the second biggest is 13cm, 465g landed just when we started at 3. Caught by mi friend Fuyu. Last thing can anyone tell me can those fishes be eaten? Hi chanturtle, that's quite catch there. I've never been to Punggol Park before, let alone knowing there's Peacock bass(those small fishes on the right) there. How did you catch them? The two big fish looks like some sort of cichlid, but most of us would have called it Tilapia or 'Japan Fish'. The body is pretty broad, like those of a green chromide. Not a bad catch in all, how many of your friends were you fishing with? Although this site isn't pro-active in Catch and Release, we do encourage on no wastage of fish. If you decide to bring the fish back(dead), try not to let it go to waste (get thrown away). Your catch on the juvenile peacock bass probably can upset a lot of anglers who sees this as unnecessary and they should be release to be give a chance to grow bigger. All the fishes in your catch photo are edible, do try them out. wow so many fishes there ..and normally u can hit 3 times more..ie close to 30 le..bro can sell and make money..tell ur daddy O levels no need le. I am a predatory fish keeper/fisherman/photographer. haha... 'o' levels are still important to mi...... going to try them out today... thanks for the info Didn't know it was peacock bass though but i will release them the next time i catch them..... and i went there with four of my friends. I used Tiger Prawns as bait and one of my friend use doughbait to catch one of the juvenile Peacock bass. I onli manage to catch the biggest fish in the photo and 3 of the juvenile peacock bass. chanturtle wrote: haha... 'o' levels are still important to mi...... going to try them out today... thanks for the info Didn't know it was peacock bass though but i will release them the next time i catch them..... and i went there with four of my friends. I used Tiger Prawns as bait and one of my friend use doughbait to catch one of the juvenile Peacock bass. I onli manage to catch the biggest fish in the photo and 3 of the juvenile peacock bass. steam liao squeeze some lime juice over them. hi jun de i am new to this forum any tips? wenbin wrote: hi jun de i am new to this forum any tips? Hi Wenbin, welcome to HLF. I can't really give much advice without knowing what kind of fishing you do. Maybe you can do a little introduction here. Hi Bros, juz been there recently and still have not caught any fish yet... Only caught soft-shelled turtle and tortise only.. Realised that there are quite alot of catfish there..
Hi junxiiang, may I know how did you catch the tortoises and soft shell turtles? Fishing interest: Any type of fishing as long can go fishing. 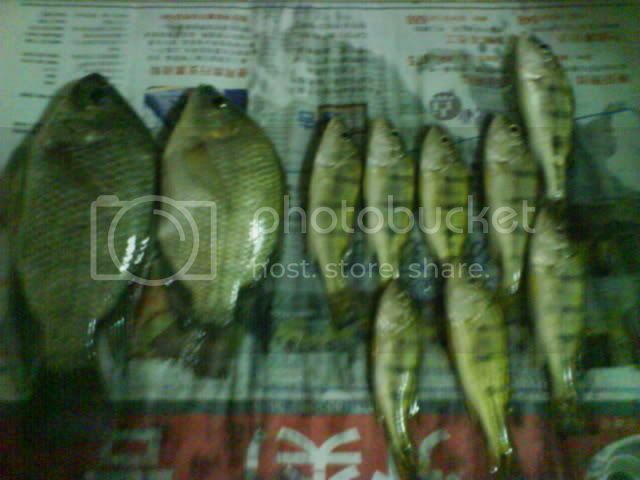 junxiiang wrote: Hi Bros, juz been there recently and still have not caught any fish yet... Only caught soft-shelled turtle and tortise only.. Realised that there are quite alot of catfish there..
Hi, just join today. I stay at next to Ponggol Park. Us to fish there before but have not been there for years. I understand only lure is allow there. Hi Raymond, welcome to HLF. Thanks for the clarifications, I guess any park opened for fishing applies the same rules as that of reservoirs. So guys, do take note. Peace wrote: Hi Raymond, welcome to HLF. Thanks for the clarifications, I guess any park opened for fishing applies the same rules as that of reservoirs. So guys, do take note. Can get fine for using bait. Try using the Burkley Gulp lure. Peacock Base love it. Thanks for the tip, I've only caught peacock bass on hard lures so far. Then again, I hardly do any luring myself. :P Will try the Berkley Gulp one day.